Sweet William - Dianthus barbatus, is a popular, old-fashioned favorite in flower beds, borders, rock gardens and window boxes. This biennial Dianthus variety grows to 30–60 cm tall, producing fragrant flowers in dense clusters of white, pink, crimson and bi-colored flower heads at the top of the stems. Each flower head of this carnation variety consists up to 30 tiny flowers with five serrated petals, sometimes with circular patterns and picoteed petals. 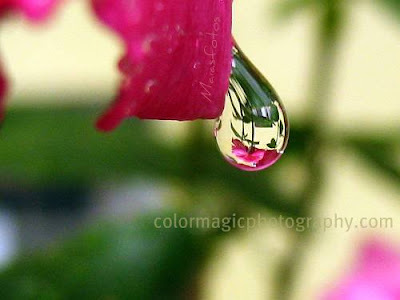 Its flowers are edible and its nectar attracts birds, bees, and butterflies. Like most dianthus varieties, the foliage of Dianthus Barbatus is blue-green. Deadheading is recommended, not just to encourage further flowering but to get rid of the brown, spent flowers, that spoil the show. Though, if allowed to set seeds, the plant will re-seed itself and it will bloom early the following summer. Plants can be grown from seed or transplants. When sown in spring, after the last frost, it will flower in the second year. Seedlings grown indoors and transplanted after the last frost may flower in the first year. Grows best in sunny spots or partial shade. They are not suitable for hotter climates, in tropical zones. 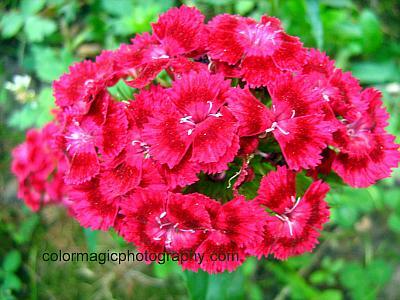 Sweet William plants prefer slightly alkaline soil but any well-drained garden soil which is not acid will do. Flowering period is in midsummer, from June to August. 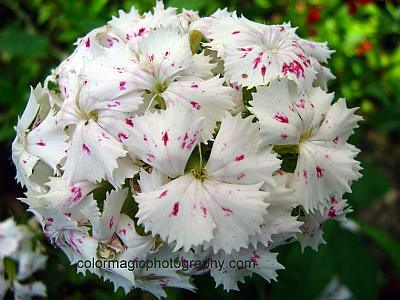 Sweet William dianthus is native to Europe. Lovely colors and details of the patterns of the petals. I've always liked this flower. Beautiful flowers, love the colors. Wish you a wonderful day, Maia.